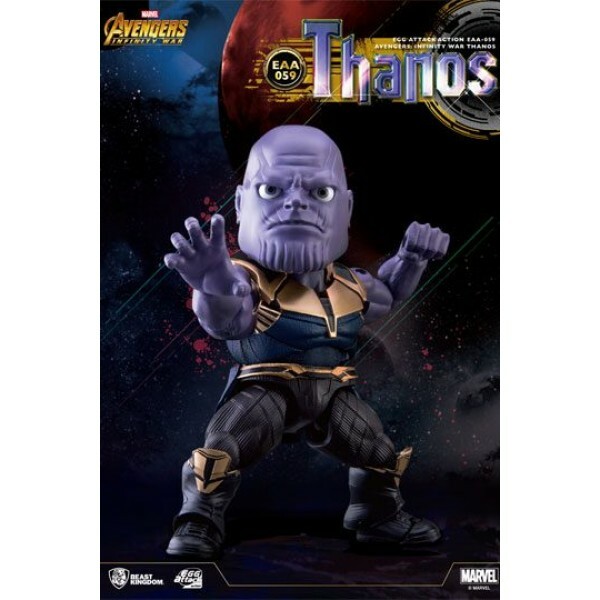 Beast Kingdom is launching a 6-inch Thanos action figure, the greatest nemesis of the Avengers, who will soon feature in the upcoming film Avengers: Infinity War. In order to recreate the essence of Thanos, one of the most menacing villains in the Marvel universe, the figurine reproduces his massive physique with magnificent and intricate armor plating as well as his overwhelming aggression and confidence. 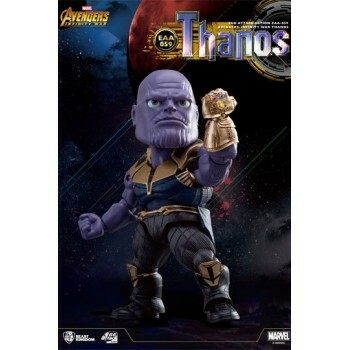 From the sculpture's design to the detailed paint, every inch is completely recreated from the movie. 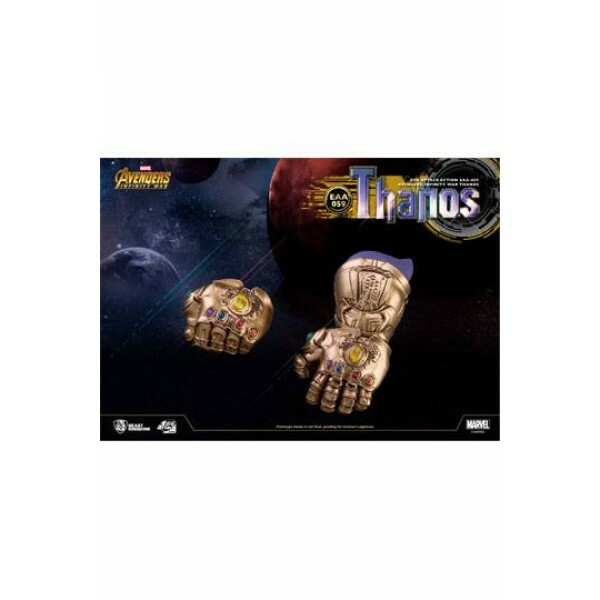 The Infinity Stones on his hand are also reproduced from their original appearance in the film and are represented with transparent materials. 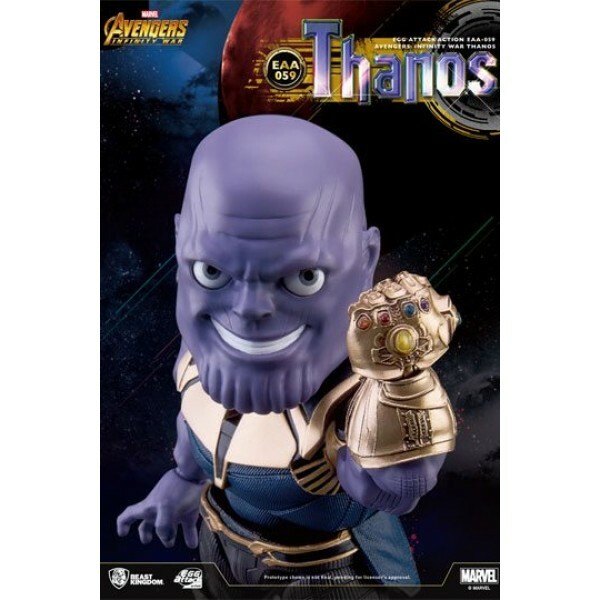 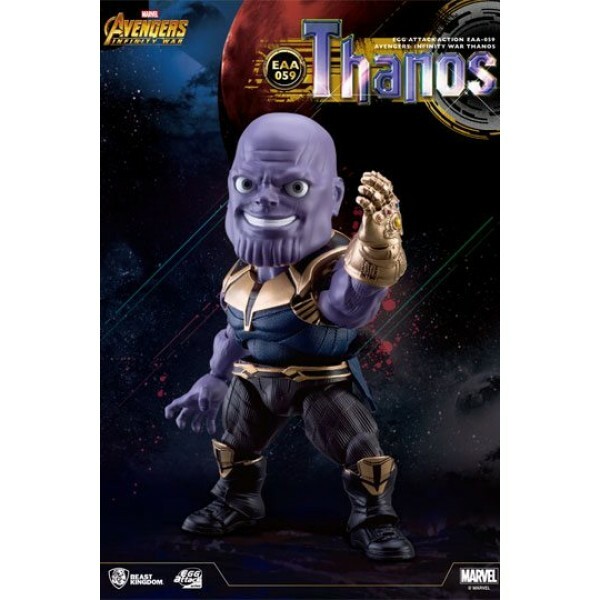 The figurine comes with two head sculptures, respectively representing "aggression" and "confidence," as well as multiple maneuverable ball joints that allow collectors to pose Thanos however they want.